While I purchase my new rod from JP Ross Fly Rods for stream fishing I’ve used it for small river fishing for trout and also for a casting pond (read Bluegill and small Bass) that is near my house. I’ve cast many different types and sizes of rods but nothing and I mean NOTHING has ever cast as smoothly and nicely as my 6’6” Beaver Meadow 2wt. This rod is without a doubt my most prized fly fishing possession. If I never got to fish it again I would hang it in a place of distinction on my wall. It is a gorgeous gloss green rod with blood red wrappings at the guides. The various engravings I requested only cap off the beauty of the rod. As for fishing, OH HELL YEAH! Last night in a stiff breeze I was able to cast direclty into the wind straightening my Lefty Kreh line out to lie upon the soft rippling water only to have a bunch of fifty cent piece sized Bluegills attack it. 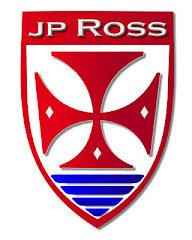 I HAVE NEVER HAD A BETTER BUSINESS EXPERIENCE IN MY LIFE THAN I DID WITH JP ROSS AND HIS COMPANY! It’s that simple for me. The man is a joy to work with and truly is concerned with the not just the quality of the product he is delivering but that it will truly meet your needs and expectations on ALL levels. I’d like to personally thank you for delivering such a high quality experience to me. It means the world that every time I pick up that rod, I’m reminded of my parents. I look forward to doing business with you again! I was supposed to take the kayaks out with Beth LaFond tomorrow, but to my surprise we got an offer from the Blackfork Inn to come up to Loudonville, OH for the weekend. Unable to turn down an offer from our friends, the owners Todd & Cheryl Brown, Beth and I are now going to be headed up there for a weekend of fly fishing!! Two of my favorite spots for brown and rainbow trout are located in the area along with one of our favorite restaurants, The Mohican Tavern. If you are ever in the area make sure you stop in! I’ll also be testing out my new fly rod mentioned in the previous post on here from JP Ross Fly Rods. It’s a Beaver Meadow 6’6” 2wt that I’ve been dying to get out on the water. It’s outfitted with an Orvis CFO from Mad River Outfitters, Lefty Kreh Triangle Taper line and an Orvis braided leader for turning over those dry flies. Hot damn, I can’t wait! !